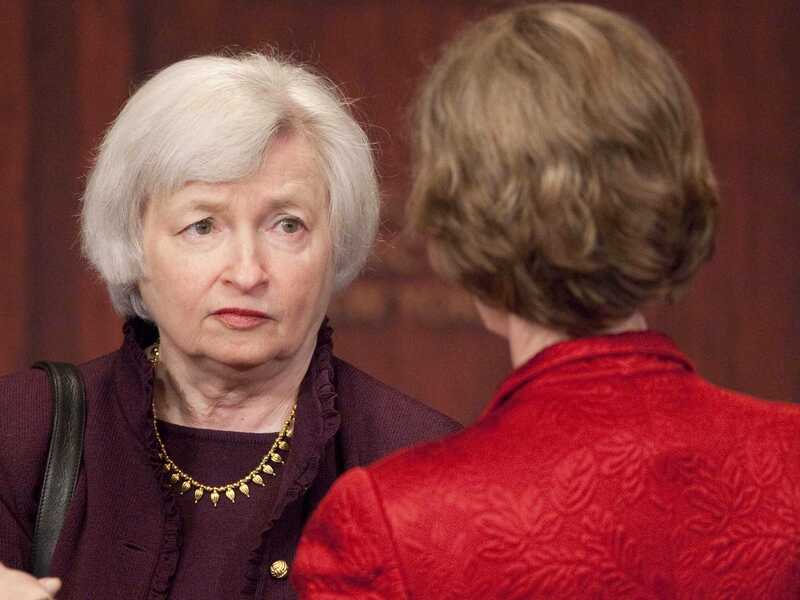 AP ImagesFederal Reserve Chair Janet Yellen. The Federal Reserve just released the minutes from its latest monetary policy meeting. The market didn’t seem that interested, as stocks were little changed after the release. And while there were some interesting headlines about how the Fed sees the global economy and its own economic projections, the big takeaway is this: the Fed has no idea how to tell the market it is going to raise rates. And in short, the Fed doesn’t know how it wants to signal the future course of monetary policy. Most participants judged that it would be helpful to include new language in the Committee’s forward guidance to clarify how the Committee’s decision about when to begin the policy normalization process will depend on incoming information about the economy,” the minutes say. Which is fine. Some FOMC members want the Fed to make changes to its language. But how it would to do that is unclear. “Considerable time” is the much-debated phrase that some Wall Street economists expected to be cut back in the Fed’s September statement. But now this phrase has remained in two successive policy announcements. Notably, Wednesday’s minutes indicated that some FOMC members wanted to eliminate “considerable time” because it doesn’t make clear or imply that the Fed will be data-dependent when it raises rates. In other words, when the labour market or inflation gauges are at a point that the Fed wants to hike rates, some members don’t want the Fed to be beholden to some sort of unspoken covenant with the market that it would wait a “considerable time” before making a move. And what’s more, it’s never been clear how long a “considerable time” really is, anyway. But other committee members aren’t so sure. So then it seems that the Fed is in a bit of a pickle. Some members think they need new phrases, but others are worried about new phrases, particularly the exclusion of “considerable time” because it will alter the market’s interpretation of the Fed’s policy intentions. Additionally, others think “considerable time” needs to go precisely because of how the market is interpreting the Fed’s policy intentions. If that seems like a bit of a mess, it’s because it is. You can read the full text of minutes here.